(SA) Economy In Crisis: What The Year 2009 Holds For India? The Year 2008 was dreadful for the Global Economy. It started small in the mid of 2007 and then it went global. This Economic crisis which some Economists observing it analogous to the “Great Depression in 1930s”. This crisis has affected all of us by number of ways. hundreds of thousands of jobs has been lost so far and still counting. The deteriorating US, Japan and the Euro Zone Economy impelling the Indian economy on the downside. The other developing economies are also not immune to this global downturn. Fastest developing nation – China fears, their economic growth should fall to even below 6% from 11.4% in 2007. Global equity markets also fell heavily due to major slump in the financial sector. Indian Equity markets have lost half of its total value since Jan, 2008 peak while the other major markets fell between 35% and 72% and still there is no signs of recovery in the global financial markets as the economic situation is continue to worsen. 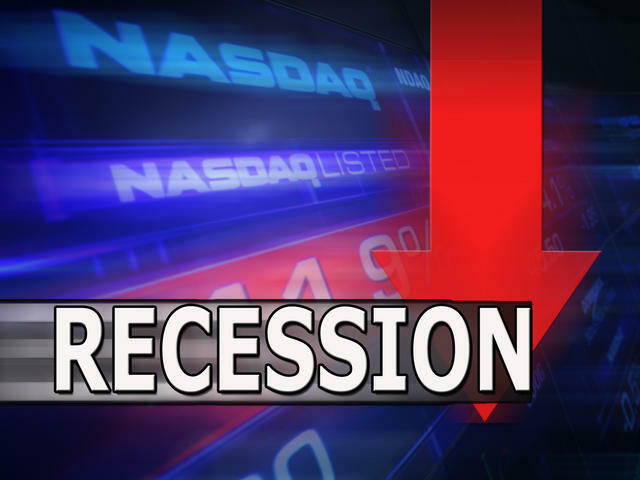 The recent Macro economic data from the United States shows the further deepening of Recession. Falling demand for crude oil lead to steepest fall and now trading at 4 year lowest levels. Developing economies like Brazil, Russia, India and China (BRIC) are emerging as an economic powerhouse. Since the year 2002, Indian Economy grew at an average rate of over 8%. The recent Financial Tsunami which led to the severe recession are also affecting the developing nations. Some of the major economic factors are now in favor of the Indian Economy. One of the vital positive changes are cooling inflation (see the picture on the left side, showing the Inflation trend), commodity prices, Crude oil prices, falling interest rates. RBI still have a lot of room to ease its policy rates further when the inflation below 1%. In the Year 2008, RBI had revised its key rates several times to maintain the liquidity in the banking system. The lower interest rates will allow the banks to cut their benchmark lending rates, though the deposits will also see the reduction in interest rates. Lower commodity prices and crude oil prices is driving the Inflation on a downside. Lower inflation means, lower cost of credit, which drives the economy on the upside, however in first half of 2009 (H1-09), growth will slow significantly as Industrial production suffers from lower exports. 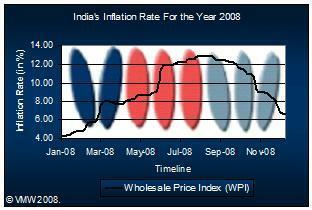 (see the given below picture showing the IIP trend in FY2008). The recent economic indicators – Index of Industrial Production (IIP) data showed the negative growth of the economy, the another negative point for the Indian economy is rising fiscal deficit. Fiscal deficit estimated at over 8% of the India’s annual gross domestic product (GDP) (see our latest Post: “Interim Budget 2009 Review” for more information) and 3rd Quarter Advance Tax data which is fell by 22% over the corresponding year. It shows that the profitability of the Indian corporate is lessening. The fact is, “we’re now in the middle of the Global Recession” and we’ll see some more drastic changes in the global economy. Besides these factors, other important factors are falling demand for Indian exports and depreciating Rupee which will widen the Current Account deficit is another cause of concern. India’s largest import product is Crude Oil and weaker domestic currency would make imports dearer, however the weaker currency will lead to higher demand for India’s exports, but as mentioned earlier, the global recession have a drastic impact on India too. Headline Inflation will continue to fall and some economies (particularly developed one) will see short period of Headline Deflation in H1 of 2009. Reason: rapidly falling inflation, asset prices, and credit crisis. Central banks in across the world will continue to ease their monetary policy in the next three to six months to impede the deeper downturn and the risk deflation outcome. FY09 earnings in India and 1st quarter earnings in the US and Europe. Bank’s result would be the top priority for the global investors as their positive corporate earnings might be an advance indicator for an improvement in the credit market and whole banking system which has a lead role to damage the global economy. In the coming three to six months, the economies are expected to continue to contract as the negative impact from the credit crisis, a further deepening of the housing slowdown, a backlash in Emerging Markets. The 1st Half of year 2009 is very crucial and by mid-2009, economies are expected to return to positive growth rates and a subsequent slow recovery will materialize during H2 next year. The US would be the first to recover followed by Asia. The positive effects from falling energy prices, monetary policy easing, and fiscal stimuli will definitely work. First of all, the falling Crude Oil prices from almost $150 a barrel to below $50 a barrel. Higher commodity prices were the main driver for the economic downturn last year. Food and raw material prices followed suit push the inflation on the downside. The lower inflation will act as a tax relief significantly supporting consumer purchasing power during the coming months. Further widespread easing of Monetary Policy. US Central Banker, Federal Reserve will implement the Zero Interest Rate Policy (ZIRP) in its Jan, 2009 meeting. European Central Bank (ECB), the central bank of Euro Zone will likely to cut aggressively. This will lead to fade in credit crisis and the economy will start to recover. 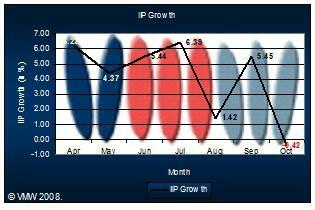 VMW expects, India to grow at 6.2% in FY09 and 6.1% in FY10. On the RBI policy front, RBI should cut interest rates further to fuel the economic growth; however the robust Foreign Exchange Reserves and the strong domestic demand will protect the Indian Economy from sharp downfall. This VMW Research is Marked as “Superannuated” by the VMW Research Team and the content of this research is no longer in use in today’s economic context, however certain references and inferences in this research can be use. Follow our World on Twitter! Follow the "U-World" on Twitter to get latest updates from the UNIDOW FIS. Inflation rate in Nov 2013 (Based on Wholesale Price Index) jumped to 7.52 percent in comparing to 7.00 percent on a month over month basis (Oct 2013). Please Note: Inflation rate updates every second week of the month and last updated on Wed, Dec 25, 2013. Enter your email address to follow VMW Post Alert and receive notifications of new posts by email. India's Foreign Reserves $1.18 billion at $276.64 billion for the week ended 27th Sep, 2013 vs. $278.20 billion week over week. Please Note: India's Foreign Reserves update every Friday evening and last updated on 7th Oct, 2013. Indian Economy in 2012: The Impact Of Political Drama On The Broader Economy.